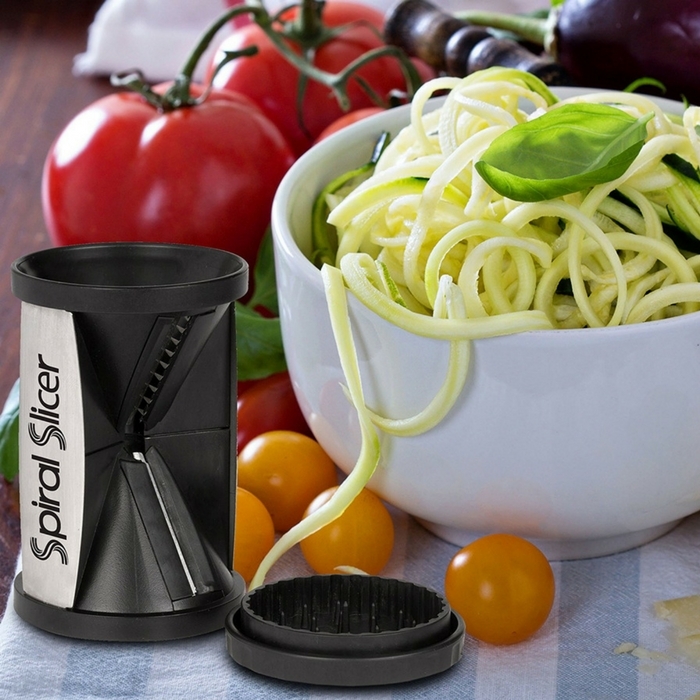 Vegetable Spiralizer Bundle Just $12.97! Down From $30! You are here: Home / Great Deals / Amazon Deals / Vegetable Spiralizer Bundle Just $12.97! Down From $30! Would you like more veggies in your family’s diet? Health starts in the kitchen and with the help of this spiralizer, healthy meals are quick, easy & fun! You can use it with zucchini, squash, carrots, cucumber, sweet potato and more! Then make some colorful salads, stir-fries and garnishes – meals that are appetizing and fun! Yes, it’s going to be fun and I’m sure your kids would begin to crave for more creative veggies! Head over to Amazon where you can get Kitchen Saviors Vegetable Spiralizer Bundle for just $12.97 down from $29.99! Get FREE shipping with Amazon Prime or for orders over $35! Two high-quality Japanese blades make zoodle spaghetti or flat ribbon noodles similar in texture and taste to their high-carb alternative. Mixing delicious zucchini and squash noodles with your regular favorite pasta sauces gives you a huge boost of Vitamin C, Manganese, Vitamin B-6 and Vitamin K.
Ideal for Paleo, Gluten-free, Low-carb and Raw diets. Kids actually begin to crave their veggies!